Get ready to be dazzled, Maharanis, because today we’re bringing you a larger than life South Asian wedding straight out of Dallas, Texas! Significant Events of Texas marvellously planned the spectacular shaadi at the InterContinental Dallas, while Weddings by Farah took charge of design and decor! As Maharani Ambreen entered the spectacular venue, she was ultra radiant, with fabulous, perfectly polished hair and makeup by Ms Painted Lady and a stunning red outfit! After enjoying the delicious food from the InterContinental Dallas, the blushing bride and her Raja danced all night to every expertly curated song Outspoken Visions Entertainment played! When you see a wedding as pretty as this Dallas wedding, it’s impossible not to get starry eyed. 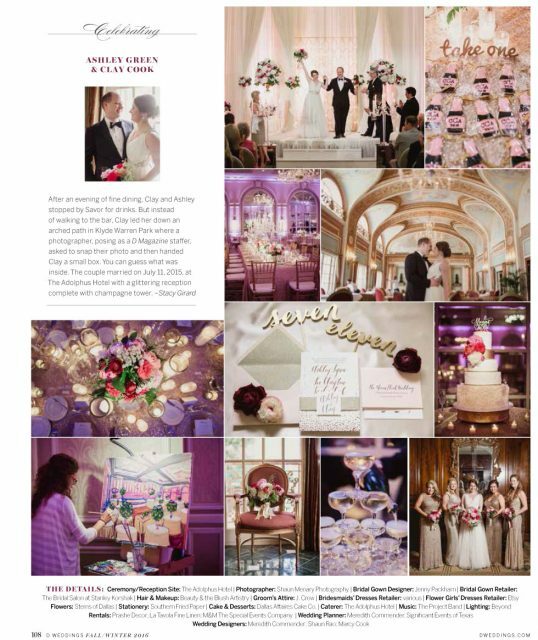 Especially when the wedding is dripping with gorgeous chandeliers and candelabra with tall candles that remind you of Beauty and the Beast! This specific wedding was romantic in every aspect from the intimate ceremony setting to the luxurious reception filled with lush florals, romantic candlelights and fountains of champagne. 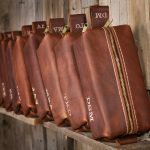 Tips from our Friends at Groovy Groomsmen Gifts! Let’s face it – most guys aren’t natural shoppers. They’re not really great at details and have a tendency to procrastinate, a few reasons why groomsmen gift shopping can be a challenge for most grooms. After all, time and sincere effort goes into selecting appropriate, practical, and memorable mementos. In the attempt to come up with unique, creative ideas to thank their groomsmen, some grooms get often stuck in limbo. A misconception about groomsmen gifts is that it has to be either one of these: funny, unique, or functional. Truth is, groomsmen gifts can be all those three and more. There is no single formula to scoring great groomsmen finds but the list of “to dos” definitely make the process a lot easier. Knowing your groomsmen individually helps in making an informed gift choice. It is best for grooms to make the time to learn about each groomsman’s hobbies or interests. While it is no crime to consider coordinated and/or matching gifts, it is also worth noting that each guy is different. Finding gifts specifically for each individual shows the extra effort put into the gift-selection process. 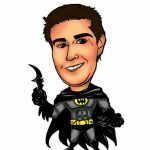 This caricature from Groovy Groomsmen Gifts can be a perfect gift for your superhero-loving buddy. Men are not the type to collect trinkets. As a fellow guy, the groom knows that men appreciate items that can be of use to them. Consider getting tokens built for function over gifts that have no more than a comic appeal. 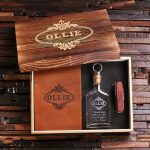 Should the groom prefer matching gifts for his groomsmen, it is best to go for something that will generally be useful to the recipient, regardless of his personality. 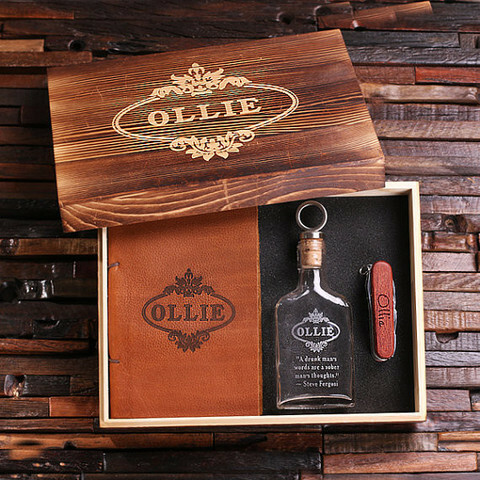 Groomsmen gifts serve the purpose of being the tangible representation of the groom’s appreciation for his groomsmen. Although the item itself says a lot, it is always best to complement it with a handwritten thank you note. It adds a subtle but significant personal touch to the gift. Presentation matters when it comes gift-giving as this is the first thing groomsmen notice. Cool packaging adds to the anticipation of opening the unknown. 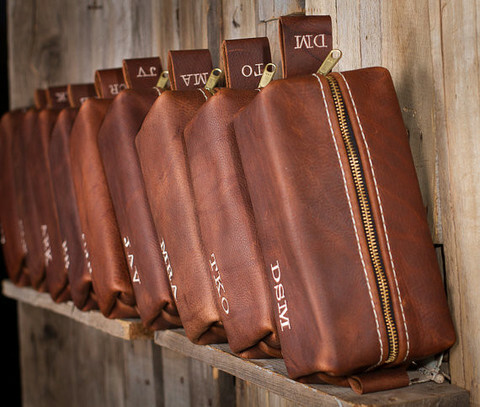 It is also a great way to incorporate quirky, whimsical twists to groomsmen gifts. Look for gifts that come in special casing for the ultimate wow factor. This 3 piece gift in a box set also from Groovy Groomsmen Gifts makes for a great groomsmen gift idea. We know that weddings can be overwhelming and both the bride and groom’s schedule become packed as days go by. Before anyone realizes, months turn to weeks, and weeks to days. Pulling of a task as important as selecting gifts for groomsmen requires time. A month before the wedding gives the groom ample time to look at options. When the pair started planning their July 11, 2015, wedding, they let Ashley’s love of sweets and bubbly lead the way. “I wanted to incorporate the glamour and fun that a glass of champagne evokes,” says the bride, so she asked Meredith Commender of Significant Events of Texas help bring her vision to life. Shaun Menary Photography captured every glamorous, glittering detail of this couple’s Texas bash. Our national parks here in UT are world renowned, so it comes as no surprise that some people pin point us for their destination wedding! Lauren wandered herself to the Moab area after she graduated form vet school and knew that this was the place she would get married someday. Brian was clearly accommodating and the two of them hired Significant Events of Texas and together they nailed one of the best destination weddings we have seen take place in UT! Lauren and Brian had a beautiful intimate destination wedding among the vast rock formations of Utah in Arches National Park, where a select group of friends and family gathered to witness their nuptials before celebrating beneath the stars, and later, heading to Denver for a reception. The couple’s wedding planner, Meredith Commender of Significant Events of Texas, shared with us the story of this oh-so unique destination wedding. All you fashion lovers out there, this one’s for you. 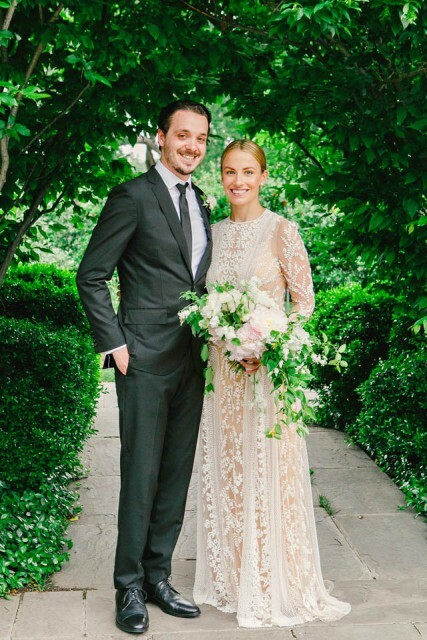 Katherine O’Brien Photography photographed the wedding day of Matt and Katy, who work for VICE Magazine and 3.1 Phillip Lim respectively, so it’s little surprise that their wedding day would be all kinds of stylish. Throw Bows + Arrows into the mix for floral design? We’re sold, a million times over.